There are no shortage of Christmas trees in Carroll County – it’s just a matter of finding that perfect one. 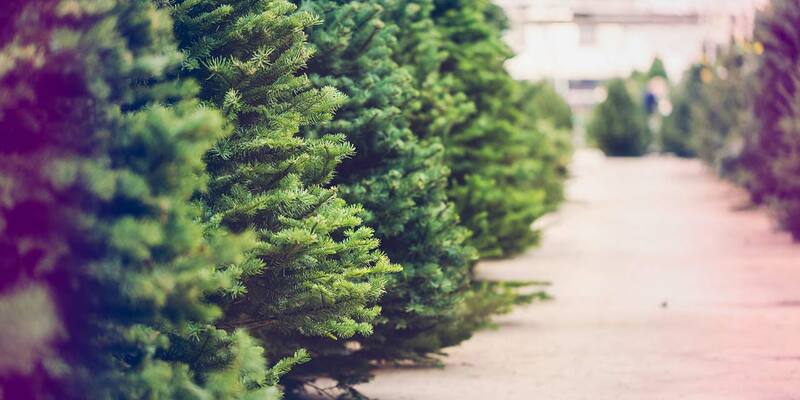 Here’s a list of local farms that sell pre-cut and cut-your-own trees. Features: Offering various pine, spruce and fir trees. All trees are $25. Decorated barn with Santa sleeping. Complimentary punch and cookies. Come see America’s largest wreath at 50 feet in diameter. Features: Fraser fir, Douglas fir, Concolor fir, Canaan fir, Balsam fir, white pine, Norway spruce, Serbian spruce, Colorado blue spruce, white spruce, Korean fir, Nordmann fir and Meyer spruce. Snack bar and gift shop, tractor-pull wagon rides on weekends. Freshly made wreaths, roping, cutting assistance, tree shaking, baling, and drilling for free. Handicapped-accessible. Credit cards accepted. Features: A variety of spruces, firs, and pines, handmade wreaths, greens, and holly. Baling, hand saws and tractors for bringing trees to your vehicle. Features: White pine, Canaan fir, blue spruce and Fraser fir. Baling, assisted loading and saws. Restroom facilities. Features: Colorado blue spruce, Canaan fir, and Scotch pine. Fresh-cut Douglas fir available. Free shaking and baling, tree hauling, use of saws and drilling. Wreath shop, swags, pine roping, window boughs, greens, bows, tree bags, and tree stands. Food concessions on weekends plus apples and cider. Features: White pine, Norway spruce, blue spruce, Canaan fir, Douglas fir, Serbian spruce and pre-cut trees. Wreaths, swags, holly bundles, greens, balled and burlap trees, baling and tree digging. Hot chocolate and snacks. Features: Various pines, firs, and spruces; choose and cut. All trees are $45. Baling and saws available. Handmade wreaths and bows, and hand-painted Christmas ornaments available. Complimentary warm apple cider. Hours: 11 a.m. – 5 p.m. Monday – Thursday; 9 a.m. – 5 p.m. Friday – Sunday; Thanksgiving Day 9 a.m. -3 p.m. Features: We are a choose & cut farm with Fraser Fir, Douglas Fir, Concolor Fir, Canaan Fir, Norman Fir, Korean Fir & Blue Spruce. Fresh wreaths, roping, wooden reindeer & snowmen, ornaments & tree stands available for sale in our sales barn everyday along with hot chocolate, hot cider, hot dogs & pork barbecue available on the weekends. Features: Douglas fir. Baling and saws available. Features: Fraser fir, Douglas fir, Norway spruce, blue spruce, Concolor fir, Canaan white pine and Scotch pine. Cut-your-own and fresh-cut available. Baling, shaking, drilling, and loading assistance. Hot drinks, hot food, petting zoo, weekend Santa Claus visits, Christmas shop, wreaths, roping and live trees to plant. Features: Cut-your-own, already-cut Fraser fir, Concolor fir, Douglas fir, and Canaan fir. Live, dug trees- blue spruce, Serbian spruce, Concolor fir, and white pine. Cutting and hauling assistance, free baling and saws provided. Country gift shop, handmade wreaths, roping, greens, holly. Handicapped-accessible. Features: White pine, Concolor fir, Douglas fir, blue spruce and Norway spruce. Live balled and burlap trees, netting and wreaths. Also, visit their stand in the Arby’s parking lot by TownMall of Westminster.